Chocolate Chip Cookies : Homemade Cookies that Melt in Your Mouth! Easy Christmas Cookies : Homemade Chocolate Chip Cookies that Melt in Mouth! It’s Merry Christmas!! 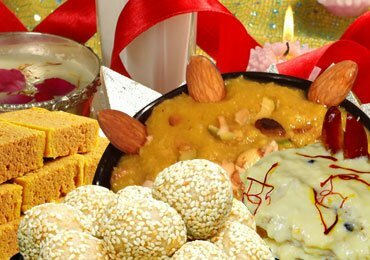 And it is this time of the year that all kind of indulgences are forgiven. Even if you indulge in and gobble up a basket of sinful Homemade Chocolate Chip Cookies! What are Christmas Celebrations without Chocolate Cookies! Homemade Chocolate Chip Cookies are a craze during Christmas and New Year. 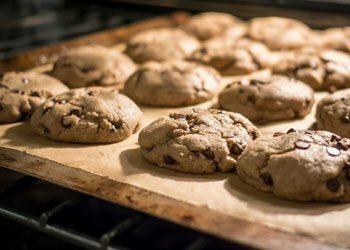 There is something undoubtedly delectable about Homemade Chocolate Chip Cookies. Easy Christmas Cookies are much searched for during the Holiday Season as there is already a lot of Christmas preparation to be done. Crunchy on the outside and chewy in the inside, the easy Homemade Chocolate Chip Cookie Recipe is a hot choice on every dinner table. Being an all time favourite dessert across all ages, Eggless Chocolate Chip Cookie Recipes are also available to keep those people happy who keep the egg away. 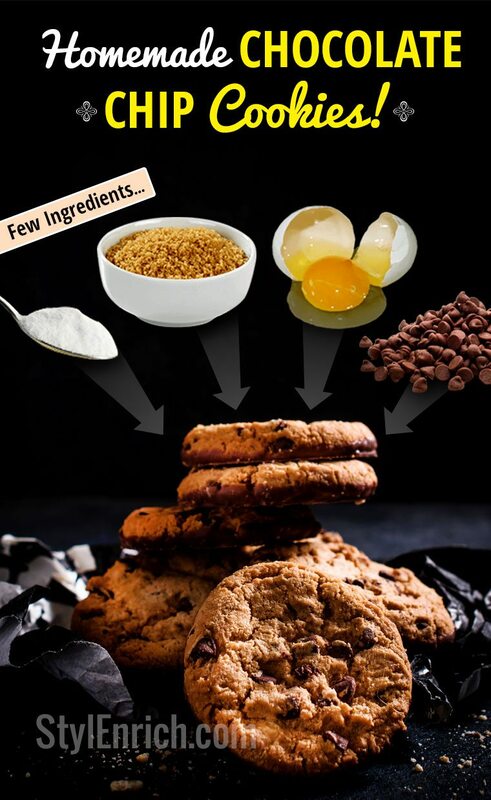 Give the Healthy Cookies a break and have a look on how to bake these yummy bites of Homemade Chocolate Chip Cookies. Set the oven to preheat at 350 degrees. 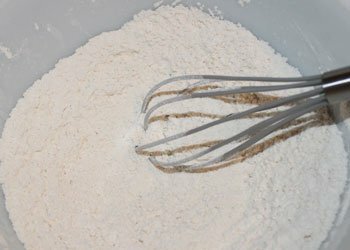 In a small bowl, mix together flour and baking soda and keep it aside. Take an electric mixer with a bowl attached with a paddle mixer, and add Butter and both the granulated and light brown sugar and beat the butter till it has combined with the sugar. 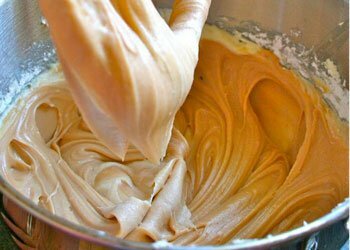 Reduce the speed of the mixer until you get a light butter that has soft peaks. 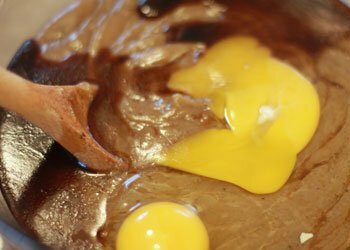 Now add the eggs and beat well for about a minute to fill air in the eggs and then put in the flour mix. Add in the chocolate chips, salt and Vanilla extract to the mix and mix well for a minute. 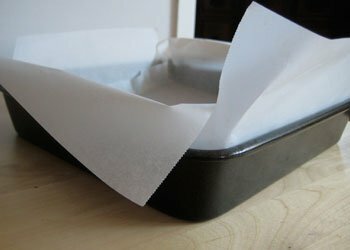 Prepare baking trays, lined with parchment paper. Take a tablespoon-sized scoop of the mix and place them on the lined tray with a distance of 3 inches between cookies. Bake until the cookies are just light brown on the edges but still chewy in the centre and this should happen in around 10-12 minutes. Let them cool on the baking sheet and then transfer to the wire rack for complete cooling. Store these cookies in an airtight container for about a week. Homemade Chocolate Chip Cookies are done! Can you believe it has such an easy cookies Recipe? Keep the healthy cookies aside for Homemade Chocolate Chip Cookies are here to stay! Making Chocolate Chip Cookies has never been easier! Classy and iconic as they are, Homemade Chocolate Chip Cookies have always been and always will be an integral part of Christmas Celebrations. No other dessert can take its place. 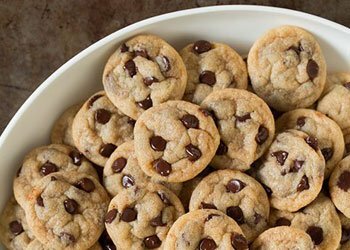 So make these easy chocolate chips recipes, and leave your guests craving for more! Have a Chocolaty Christmas and a sweet New Year too! 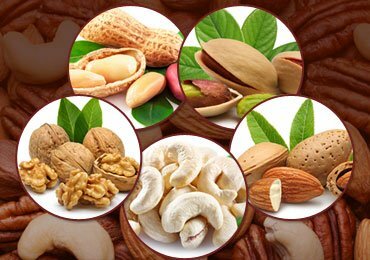 Health Benefits of Nuts : 5 Nuts With Amazing Health Benefits! 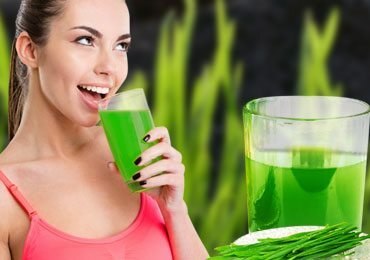 All You Need to Know About Wheatgrass Benefits! 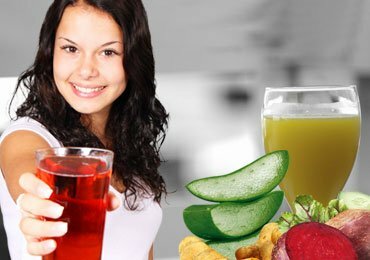 How To Burn Belly Fat : A Healthy Weight Loss Drink is All You Need! 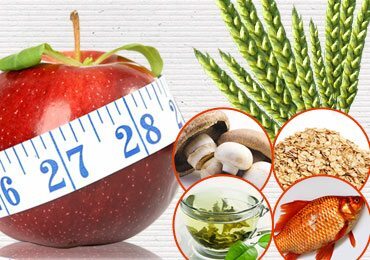 Top 10 Fat Burning Foods That Will Minus an Extra Kilo From Your Fat Pack!!! 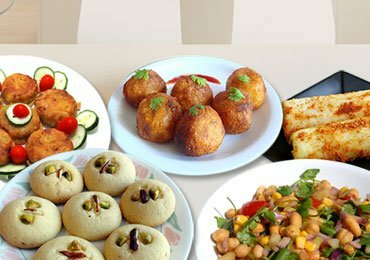 Diwali Sweets : Top 10 Easy Diwali Sweets Recipes! 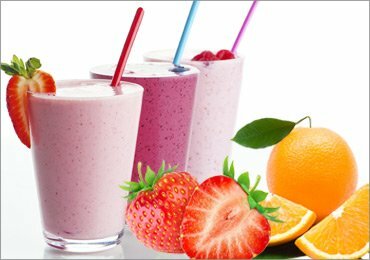 How to Make a Smoothie : 10 Healthy Smoothies for Breakfast! 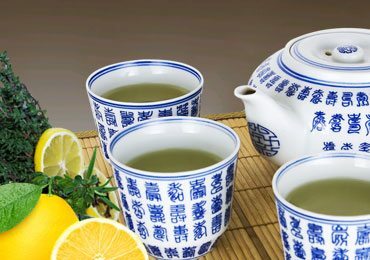 Tea Time Snacks : 5 Super Easy and Sumptuous Easy Evening Snacks! 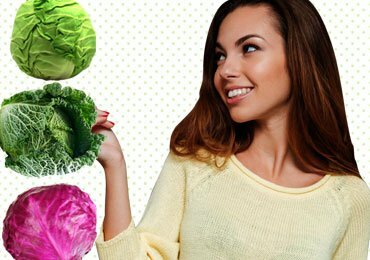 Cabbage – The Super Food and its Health Benefits! 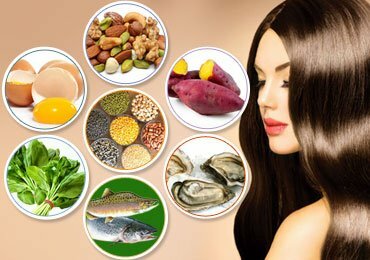 How to Get Healthy Hair : 7 Foods For Beautiful and Gorgeous Hair!